For our anniversary, as I mentioned on the day, Jamal bought me an anthology of essays about Paris, titled “Paris Was Ours.” My most recent foray into a book of collected essays before this one was “Writer’s on Writing,” which despite oodles of promise (it was culled from the New York Times) has proved to be pretty un-readable. The voices change too abruptly from author to author, there’s a lot of self-aggrandizing with little usable advice, and on and on. 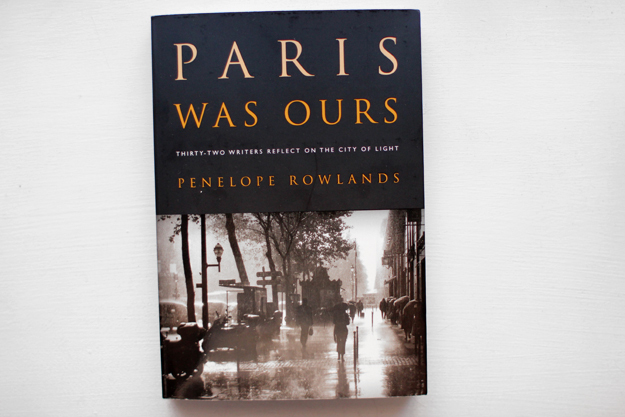 Thankfully, this is not the case at all in “Paris Was Ours.” It is a beautifully curated selection of 32 authors, with moving stories about struggling as poor expats in a city that held so much charm for them. It’s all excellently written, funny and tender and enlightening. There are continuous themes strung throughout each of the narratives, like having to press a button on each landing to turn the lights on as you ascend to your 7th floor apartment. I’m 200 pages in and have been already experiencing some tremors of dread about finishing it; I don’t want it to be over. Have you had that happen recently with a book you’ve read? As an avid reader of Haven in Paris (surprising absolutely no one), I accidentally entered and won a giveaway of a book by new author April Lily Heise, “Je T’Aime, Me Neither.” I say “accidentally” because, as is often the case when I see photos of Paris, I got overwhelmed and swoon-y and didn’t exactly grasp it was a giveaway; I just commented on my favorite romantic spot in Paris (the gardens of the Musée Rodin, naturellement) et voila, I got an email saying I’d won a book. It arrived last week from the author herself, with a darling inscription on the front page. I never win anything. Seriously, the last thing I won was an oversized Barq’s Root Beer t-shirt at a Bassett’s Turkey cafe when I was 12, and only because I spent the entire meal filling out slips and dropping them in the fishbowl. Oh, well, and there was that iPod I won at my company Christmas party. So sometimes I win things, but this is my first time winning something Paris related. 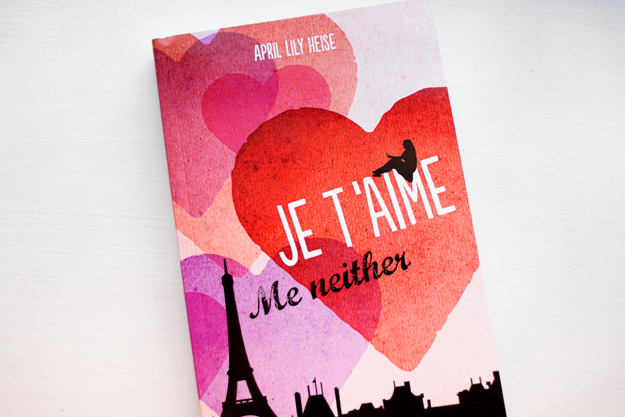 “Je T’Aime, Me Neither,” so named for the Serge Gainsbourg song, is a fun, light summer read, about a young woman’s search for love and lust in Paris. The only thing that’s driving me slightly batty is that there are 24 exclamation marks in the first 10 pages alone (and we all know how I feel about exclamation marks) and too many ellipses. But as someone writing their own book set in Paris, it’s encouraging to see others succeed at the same task. I was thinking as I read that ‘didn’t she recently win an ipod??’. The last thing I won was a bottle of champagne at a quiz at my wedding. I came first. But then the questions were all about me and Richard so you’d hope so. 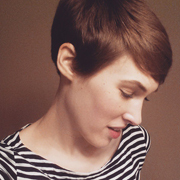 i recently read where’d you go bernadette, which i loved. it went so fast. about halfway through in the 2 second hour of reading i decided to pace myself and try to make it last a couple days because it was so much fun to read. then i read an YA apocalyptic book because i am slightly obsessed with all books pertaining to any sort of apocalypse. now i am trying to decide what to read next. so far it’s between: french lessons, sarah turnbull / the art of hearing heartbeats, jan-phillip sendker / flight, sherman alexie. what mood am i in??!! or maybe wolf hall – i still haven’t read that one yet. I’ve actually taken a break from reading anything since I seem to just plough through nonsense books without even remembering what I had just read. It’s been quite liberating to just take a break and live in my own head for a little bit. Congrats on your win and you just reminded me that I need to cool it on the exclamation marks and ellipses!!!….. I really want to read Paris is Ours now. I have actually experienced the light-switches on each landing thing, but thankfully we were staying on the third floor. I was tempted to put lots of exclamation marks in my comment, but I refrained. I love winning things! When I first started blogging I’d enter as many giveaways as I could! Then I won something that I never really wanted… and I felt guilt! So now I pick and chose what to enter and I always get excited when I win now bc it’s something really really good! The last item that I won was a print of a photograph. I got to pick whatever I wanted and I picked a photograph of Notre Dame against the sky. It’s a gorgeous photograph, and I plan to post about it soon. 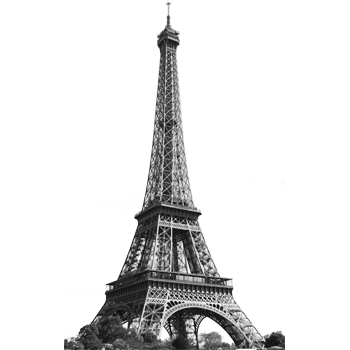 Like you, I am drawn to anything Paris related le sigh! Right now, I am still reading Game of Thrones, in the middle of book 1. I’m almost done with a memoir about monogamy that my friend and I are reading together. And lastly, I started the first page of World War Z after seeing the movie bc I want to see how it differs! So many books, so little time. Congratulations, Erin! And I don’t mean that lightly. As a fellow bibliophile, I think winning a free book is about one of the best things you can win. Well, unless it’s Gone Girl by Gillian Flynn. (Oops, did I just say that out loud?) Funny you should mention short stories, I just recently checked out from the library Unaccustomed Earth by Jhumpa Lahiri, and I’m really enjoying it. (I’m thinking I need to check out your Paris Was Ours recommendation, as well.) I picked up Unaccustomed Earth because I desperately needed a break from Infinite Jest. I know, call me crazy, I decided to read IJ and, let’s just say, it’s no easy summer read. In fact, I’m quite pissed off at it right now. Though, I’ve read, it’s at this precise point that one should persevere as the book promises to be wonderfully satisfying in the end. We shall see. I’m on page 200 of 900!